Made in granule form, INSULEX - GR is a product developed from in-house expertise for providing continous insulation cover to tundish molten metal for long sequence casting operations.Being in granule form it also does not generate dust and is therefore environment friendly. We are a well-known company in offering Tundish Covering Compound, which is widely renowned for its durability and high quality. Grind-Chem manufactures covering compounds used in ladle and tundish. 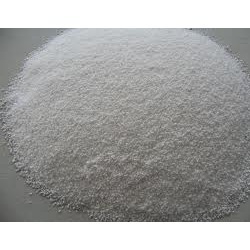 Our covering compounds are highly insulating powder, which has very good expandability and spreadability, so that it expands and spreads instantly to cover entire molten steel surface in the ladle and tundish. We are offering to our client DAFEX-11 (Tundish Covering Compound). These are offering as per client specification and on market leading prices. As per the needs and requirements of our clients, we are involved in providing Tundish Covering Compound. Tundish and Laddle covering compound are used in covering liquid metal includes a non-liquid composition that reacts at the temperature of the liquid metal to form a viscous liquid flux layer in contact with the liquid metal while maintaining a non-liquid layer above the liquid layer. Our Tundish Covering Compound has assisted us in earning huge appreciation from the clients, owing to its excellent quality. We are engaged in manufacturing and supplying high quality Tundish Covering Compound that is demanded in the industry owing to its economical rates and advantageous properties. Ladle covering powder is a range of insulating covering powder designed for use in the ladle to prevent heat loss. 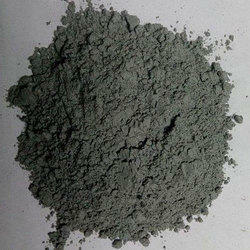 It is used in Transfer Ladles and Tundish to produce cleaner steel.